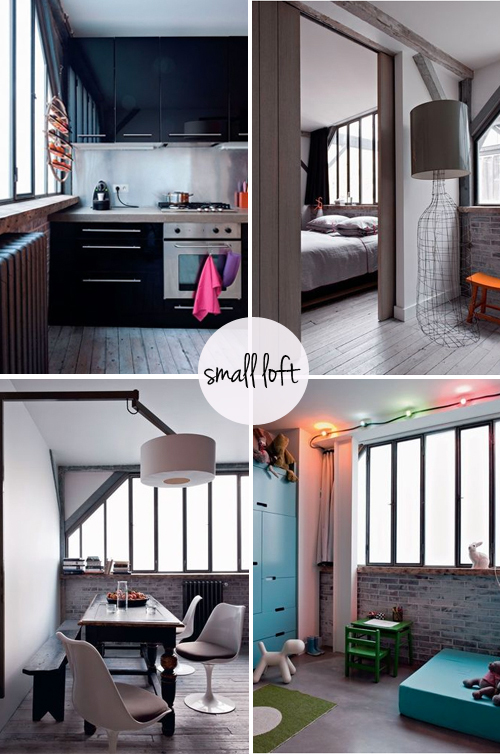 This small and cosy family home is created in an industrial building in Paris. A few years ago some friends and investors bought this former tapestry factory and they converted it into various apartments. This apartment is beautifully decorated with vintage and designer furniture pieces. Hi, so beautiful!! What a great loft! 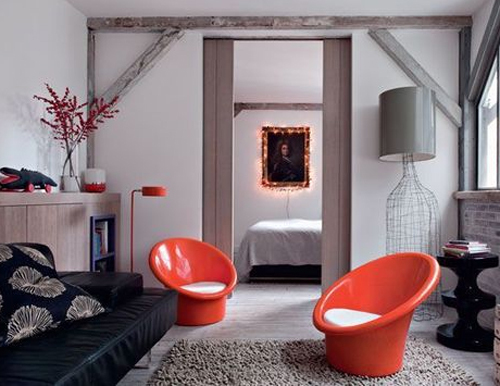 Really love the chairs and lamp!! Have a great day! This is a refreshingly simple yet lovely Interior Design. I love that outer office wall. Have to find a way to use something different but same concept on another Interior Design project. Bravo, job well done!